While spring may evoke happy thoughts of flowers and winter melting away, in our house it just means one thing: allergies. And while we can’t do much to control outdoor allergens like pollen from getting into our nose, we do our best to control all of the indoor allergens* that we can. Did you know that dust is the most common year-round allergen? That’s why we do everything we can to keep control of dust in our home, and here’s how we do it! 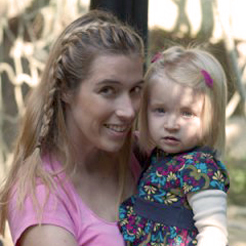 Follow these simple tips to reduce allergens* in your home as well. Vacuum or Mop…But Don’t Forget to Wipe! Once you’ve vacuumed any room with carpet or mopped a room with hard floors, it’s time to pick up any residual dust on the baseboards and any surfaces in the room. 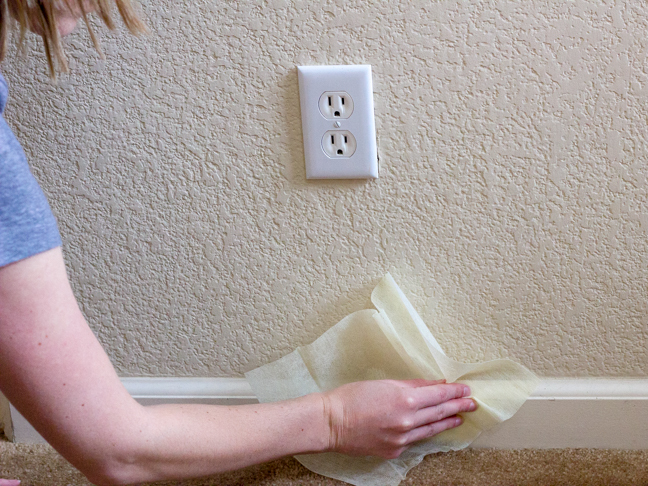 I use a Clorox® Triple Action Dust Wipe on all of the baseboards, corners, and flat surfaces in the room to grab the pesky dust that’s left behind. It easily picks up the dust that’s still hanging on and gets the room to “super allergen clean” in no time. 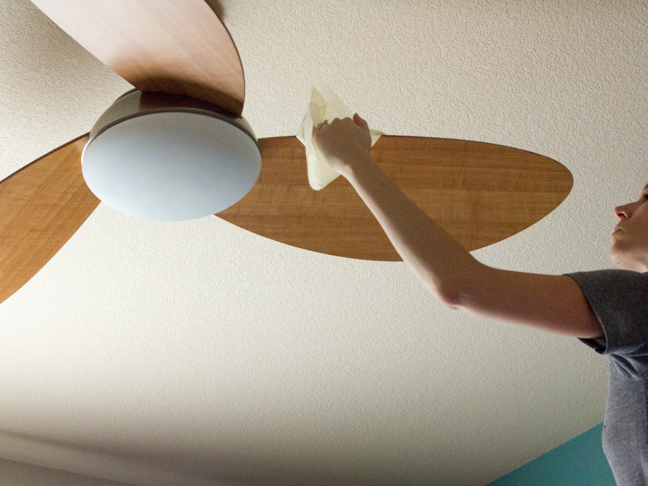 Don’t neglect to clean the surfaces up in the air as well and wipe down your ceiling fans and air vents at least once a month. Otherwise, you’ll just be recirculating the accumulated dust every time you turn on your fan or A/C system! I love how the Clorox® Triple Action Dust Wipes make the previously messy (and sneeze-inducing) job so easy by grabbing the dust and not letting go of it! Don’t Forget About Pet Dander! 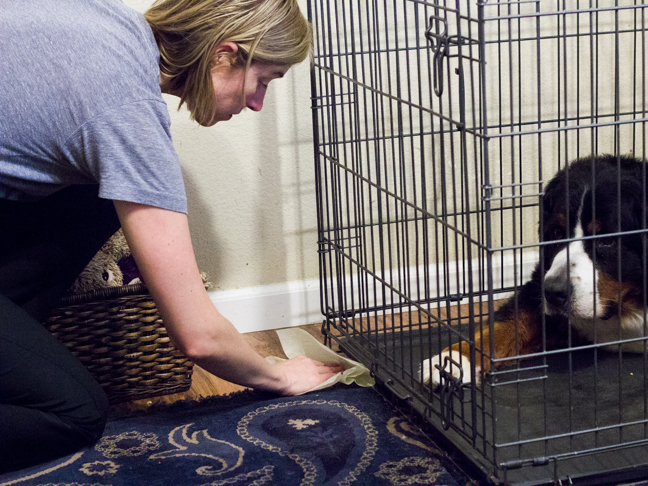 If you have a furry friend in your house (like our 120 pound Bernese mountain dog), you’ll have to combat pet dander in addition to regular dust. Vacuum your pet areas at least once a week and wash any pet bedding twice a month. Then be sure to dust the area to get rid of dander on the floor or walls. 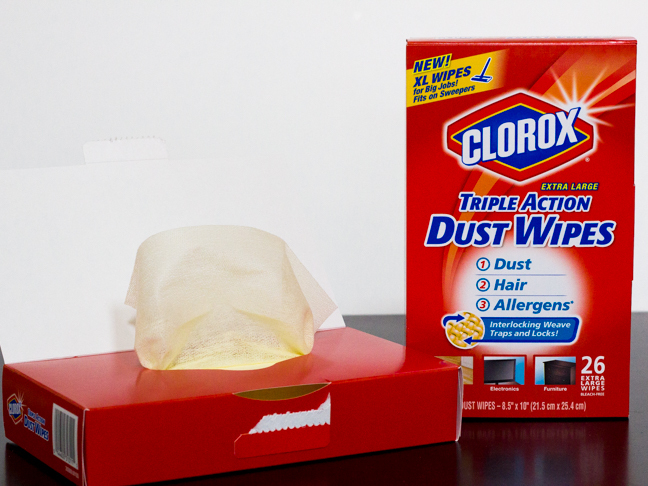 Once again, the Clorox® Triple Action Dust Wipes come in handy as they grab pet hair and dander like magic! Use these helpful tips and you’ll soon be on your way to sneezing less each day as you escape the pain of spring outside!